Optima CBD is a young company with the desire for so much more. We believe everyone should have access to cannabis and its benefits. It would make the world a better and healthier place. That’s why we demand the legalization of cannabis, preferably worldwide! 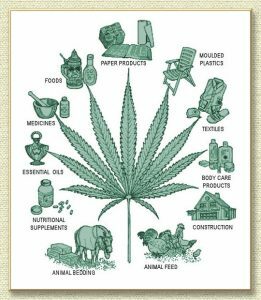 We would therefore like to see that the whole Netherlands – no, the whole world – is full of hemp and cannabis plantations. We want people to have the knowledge and skills to make their own CBD oil. However, since the self-production of CBD oil does not guarantee quality, we have developed an optimal CBD product within the current (legal) possibilities. For our Optima CBD oil, we have set the highest standards of quality and purity. This guarantees that we can supply the best CBD oil in and outside the Netherlands. Optima CBD is working on different, so-called full-spectrum products, for the future. These newly developed oils would contain other cannabinoids and terpenes in addition to CBD. Less is known about these other cannabinoids, but they reinforce each other. For the time being, we are waiting to see what the next insights in this area will be. Of course, Optima CBD is following developments closely, as we always strive for an optimal product. The first tests from our uniquely paired and patented plants have already been completed and the results are very promising. To learn more about the scientific publications on cannabis, visit www.pubmed.com. Our CBD product is completely free of THC (tetrahydrocannabinol), as this psychoactive substance is banned in the Netherlands and in the EU. This ban is extremely regrettable and shameful, as there are way more health benefits that can be achieved with THC. The interests involved in legalizing or not legalizing THC are enormous. If we, as the manufacturer of a CBD oil, had the opportunity to add THC, we could provide an even better product. Optima CBD therefore advocates the legalization of THC.